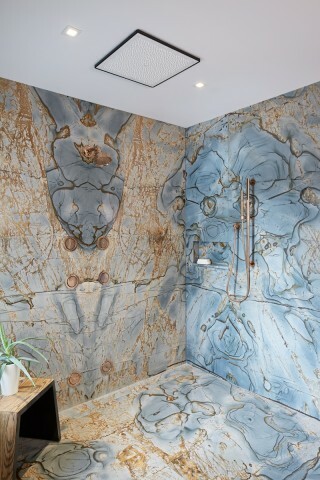 Taking a bold pattern and building a room around it results in a customized and unique space such as this granite-tile master bathroom. 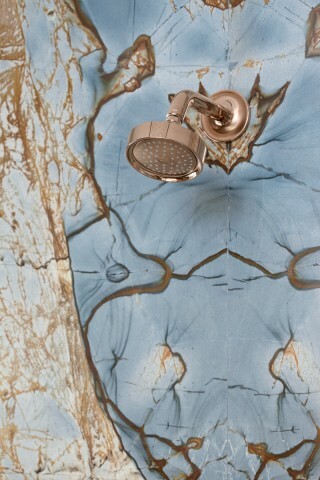 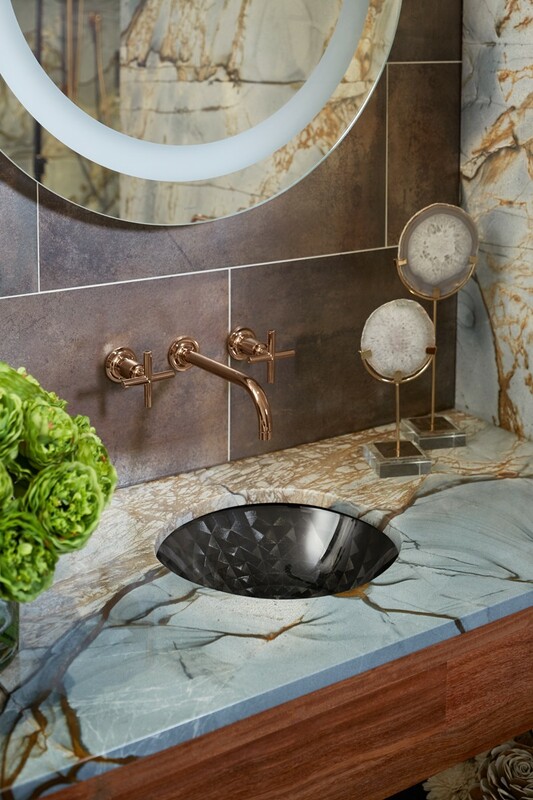 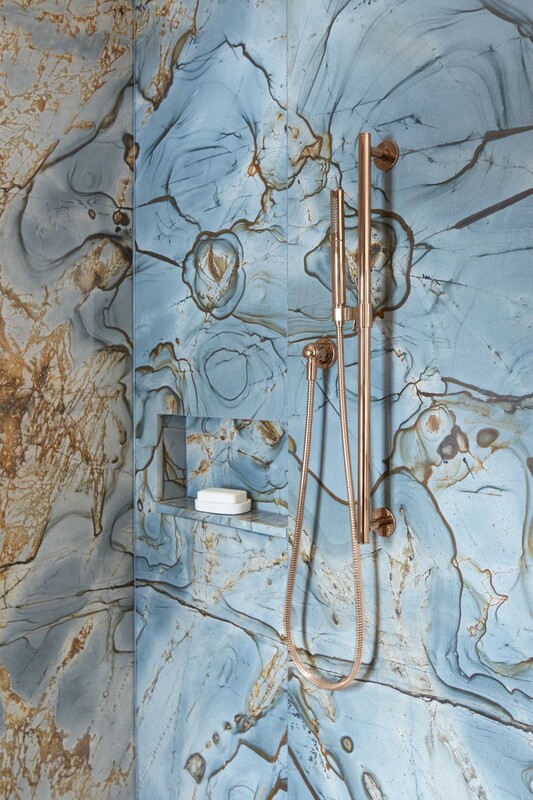 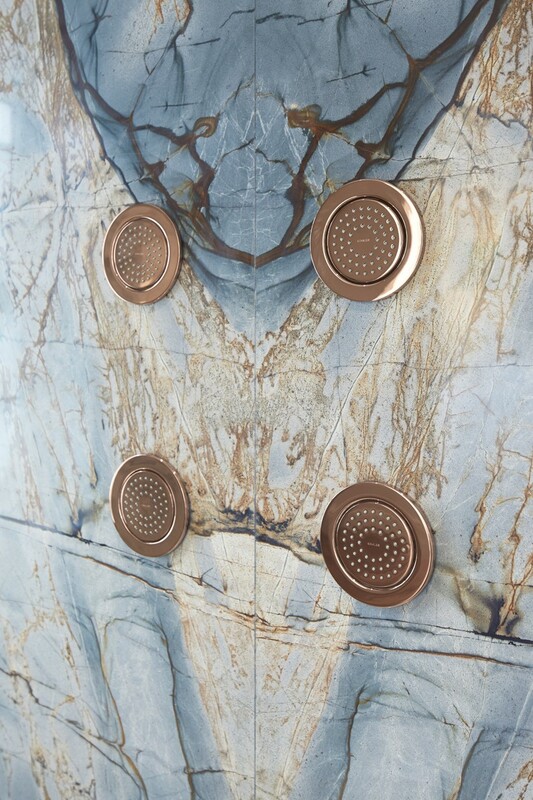 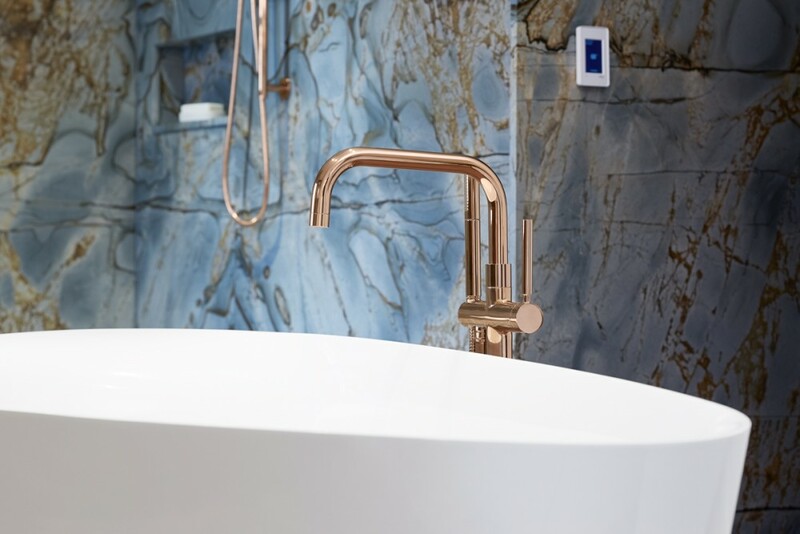 Designer Chandra Moore said, “I wanted it to feel open and airy so that when you’re standing in front of it, you can see everything.” With an almost map-like quality, the blues and golds of the granite tile are woven into the floor and the shower walls to create cohesion. The Vibrant® Rose Gold finish makes this space a bold, modern oasis. 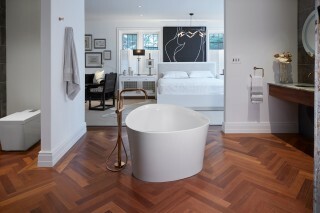 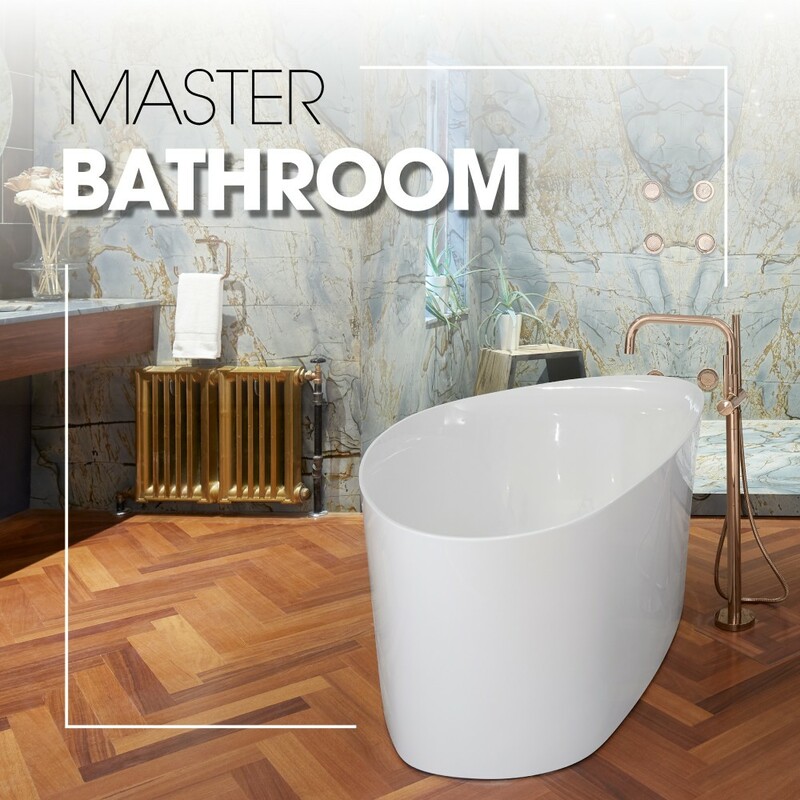 The bathroom's wood flooring was salvaged from the downstairs kitchen and is a tribute to the deep roots of the home.